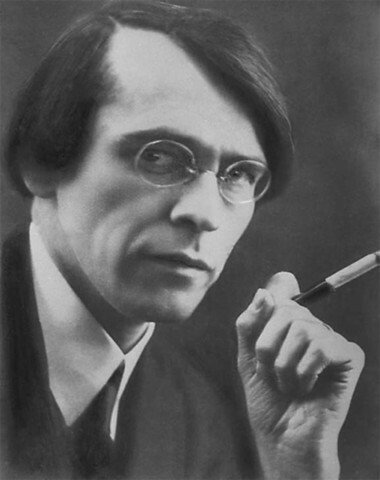 During the unusually hot Parisian summer of 1924, 38-year-old Vladislav Khodasevich—regarded by Nabokov as the finest Russian poet since Blok—was suffering from an identity crisis. One of 3 million exiled from Soviet Russia, K. was spending days at a time lying in bed, looking up at the ceiling of his cheap one-room rental on the Boulevard Raspail: depressed, exhausted by insomnia, flat broke and without prospects. Just 2 years before he had been one of the brightest poets in Petersburg: the author of 3 acclaimed collections, with perhaps his greatest, “The Heavy Lyre,” ready for print; compiling anthologies under the patronage of Maxim Gorky; reciting his verses at star-studded literary gatherings; delivering lectures on Pushkin; invited by the great poet Osip Mandelstam to join the Acmeists (K. declined); and granted a coveted apartment at the influential House of Arts. I, I, I. What a wild, elusive word! Is that man over there really me? Did mama really love someone like that? And all-knowing, like a snake? Induces revulsion, malice and fear? When talk turns to tragedy? And can’t find your own tracks. drove me with leaps to this Paris attic. And Virgil is not at my shoulder. In the looking glass, speaking the truth. Thanks to Natasha Zhiltzova for her help with the translation.